From Kashiwa, Japan to North Torrance, a remarkable 30-year quest to reconnect and find lost family. Naoko Shimamura and Terry Weber were meant to find each other. It just took more than 30 years. How the cousins were reunited is a tale of luck and good fortune, but also a story of remarkable tenacity. Of how family is lost and then found. A journey that spans from Kashiwa, Japan to a typical Japanese American home in North Torrance. Ultimately it is how the heart can expand and welcome new family members, and how at long last, a mother and son find one another after a lifetime spent apart. Weber put it best as he marveled at the events that have so profoundly shaken up his life. “This is like a Korean drama,” Terry said simply. The story begins with a mysterious phone call as Terry practiced putting at the Chester Washington Golf Course in Los Angeles last January. Yojiro Shimamura was a painter and poet with dark hair. His paintings are vivid and bold, evocative of the early works of Van Gogh. 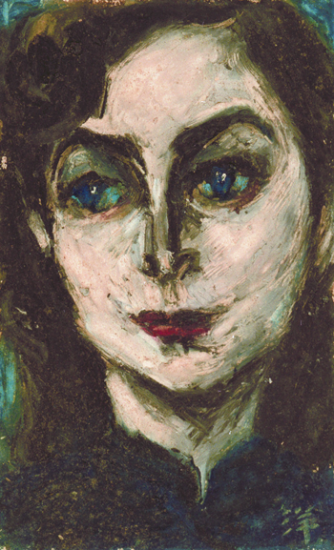 Most prominent in Yojiro’s portraits are men and women with large, haunting eyes. What was behind those eyes? During World War II, he worked as a painter for the Japanese Imperial Army. While serving in China he contracted tuberculosis, a highly infectious, deadly disease. He eventually recovers and returns from China to become a teacher. He marries Kimiko Tazawa, a beautiful young woman he met at Zushi High School. Together they have a son on June 18, 1950. They give him a name of steely strength. They name him Tetsu (iron). But the family’s happiness would not last. Yojiro’s tuberculosis returns and he is hospitalized. His wife would bring him delicious meals and carry ice in a bucket to calm his fever. By day she worked at a flower shop in Ogikubo and raised her infant son on her own, taking him to bathe at the local sento. As Yojiro lay dying in the hospital, he would write poetry longing for his family. 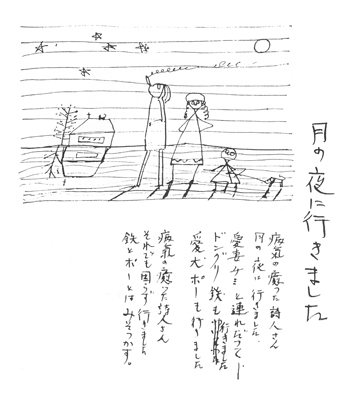 With a line drawing, no longer the muscular painting, but a weak scrawl, he depicts a happier time for Yojiro, Kimiko and Tetsu. He draws Tetsu with wide eyes and chubby cheeks. As well as Po, their beloved dog. Overwhelmed, Kimiko, 20 years old, makes an agonizing decision. She takes Tetsu to an orphanage to protect him from tuberculosis. He is two months old. Yojiro dies in 1953, just 37 years old. Yojiro Shimamura kept a journal as he lay ill in the hospital. In words and illustrations, he imagined life with his family. Joe and Esther Weber with their adopted children Anna and Terry. Terry didn’t know about his birth parents Kimiko and Yojiro as he grew up. He is in many respects typically Japanese American. He lives in North Torrance with his wife Sharon, plays basketball and the ukulele. His daughter Lauren and son Mark both played FOR/GEO basketball. Lauren was a princess on the 2010 Nisei Week Court. Mark became an Eagle Scout with Torrance Troop 719. 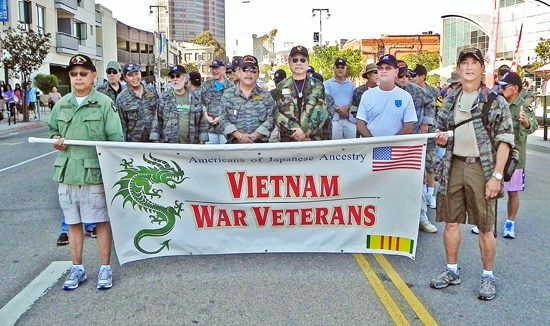 Terry marches in the Nisei Week Parade with the Vietnam veterans, an acknowledgement of his service in the U.S. Navy during the war. Like Yojiro, he is artistic and in his youth he painted birds in the style of Audubon. Sitting at his home in North Torrance, Terry says he remembers St. Odelia’s Tuberculosis Home as if in a hazy dream. He has memories of sitting at a table with a woman with a white cloth around her head standing behind him, not letting him leave until he finished his porridge. It was a nun at the orphanage. Yet the head nun took a liking to Tetsu. Most children would be sent to a boarding home after two years old, but she kept Tetsu at the orphanage, and would take him with her on errands. The nun thought of Tetsu, now three years old, when Joe and Esther Louise Weber, young Americans stationed with the U.S. Air Force in Japan, came to the orphanage in Tokyo’s Nakano Ward, looking to adopt. 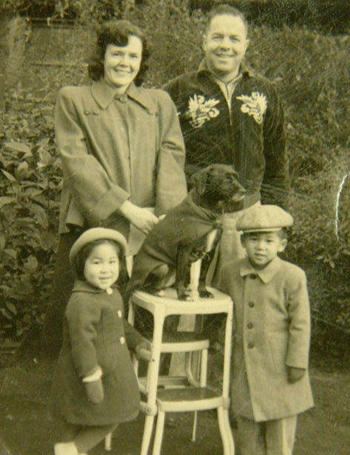 The Webers were among a number of Americans who adopted Japanese children at that time, as the country recovered from the devastation of World War II. Joe Weber was a Yale-educated Japanese linguist in Air Force intelligence. The couple took the young boy into their hearts and renamed him Terry Eugene Weber. Sadly, Esther passed away in 1961 of cancer. Joe would eventually marry Kaneko Ariga, who cared for Esther and the family during her illness. Naoko Shimamura, his niece, never knew Yojiro, but immediately recognized his artwork with the large, haunting eyes when she saw the cover of a book by Meiji University professor Eiji Usami at her local bookstore in 1984. A portrait of a young girl by Yojiro hung in the living room where she grew up. Her family never spoke of Yojiro, who dropped out of Saitama University to become an artist. The family was prestigious and included a member of Japan’s Supreme Court. Yojiro remained a hidden family secret that Naoko, a retired librarian who is studious and meticulous by nature, was determined to uncover. Naoko lives in Kashiwa, Chiba Prefecture, and for the next 30 years, she collects Yojiro’s paintings, journals and poetry. At public lectures and gallery showings, she would talk about the man behind the paintings with the large eyes. But there remained a lingering question — what became of Yojiro’s son, Tetsu? Shimamura, 67, was the same age as Tetsu, born 20 days apart. Her mother says the two newborns would sleep together on the same zabuton. 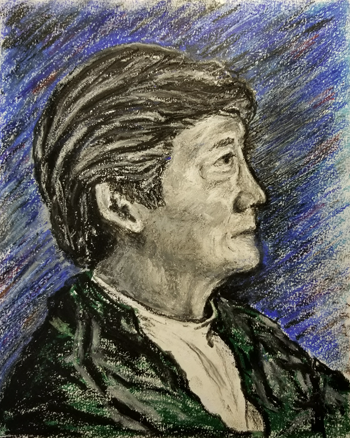 For 30 years she talked about her uncle’s works, produced a book and documentary about his passion for art and poetry, and continued her search for cousin Tetsu. There was a clue found in Yojiro’s journal. Tetsu’s adopted American parents had visited him in the hospital. Perhaps they wanted to thank the dying man and reassure him that they would take good care of his son. On a piece of paper, in Joe’s handwriting, was written the names of Joe Weber and Esther Weber, their dates of birth and a location, Ottawa University. A friend suggests she contact NHK. The Japanese television network produces “Family History,” a show where famous individuals look for long-lost family. Although Yojiro is not famous, NHK is intrigued by Naoko’s quest. In a letter to NHK, Naoko asks for their help. She wants Tetsu to know all of the information she has gathered about his father over the decades. “I would like him to know that Yojiro was a great artist,” Naoko said. Armed with Naoko’s research, the NHK producer finds Terry and calls him to see if he would fly to Japan to appear on the “Family History.” Initially he thought it was a crank call. “I said, ‘Stop, what was my father’s name? What was my mother’s name? '” Terry recalled. In his twenties, Terry remembered, his father had once asked if he wanted to find his birth parents. He was working at TRW and Terry surmises that his birth mom’s location was known to the investigators as they conducted a background check for his security clearance. “My dad asked me if I wanted help finding my bio mother. I looked at him and said, ‘No, I am not interested in finding my biological mother because I consider you to be my parents,’” Terry said. In less than two months, Terry, his wife Sharon and kids Mark and Lauren are on a flight to Tokyo. NHK captures the moment Terry and Naoko first meet, tearfully embracing one another at Kashiwa station, minutes from where Naoko lives. Their reunion is broadcast as the series season finale for 2017. They look at photos of Yojiro and Kimiko; Terry is the image of his birth father, now gone for almost 65 years. 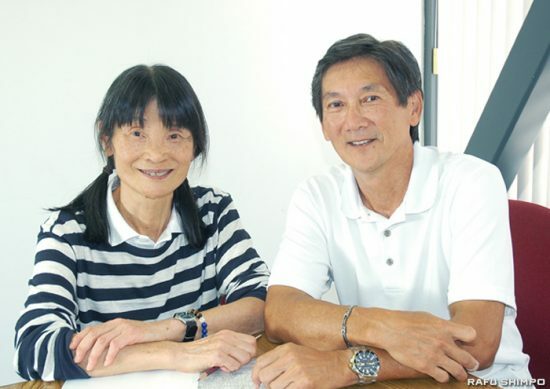 In another strange coincidence, Kashiwa is the sister city of Torrance and Terry’s son and daughter both remember meeting friends at the exact same location when they were exchange students in the Torrance-Kashiwa Sister City program. Naoko flies out to visit Terry and together they visit the Japanese American National Museum in Little Tokyo. They make plans for Terry to return to Japan this spring, to speak at one of her gallery talks. The cousins, who last were together as infants sleeping on a zabuton, are reunited once more. Naoko is in the process of writing a blog about Terry’s story. Terry can only marvel at the circumstances that have brought his Japanese family back. He recalled speaking at his retirement from Northrup Grumman in 2009 about his unique life, of being adopted from a Japanese orphanage. “I got up and I said, ‘You know what? My name is Terry Weber and I was adopted by Caucasians, but I have a Japanese family. If it wasn’t for my parents adopting me, I wouldn’t be in this room, I wouldn’t be talking to you. I have a loving wife, I have two great kids, and a wonderful life.’ I was very happy … then all this happens. What became of his birth mother, Kimiko?